Update: Reports from all over town that the Saturday Star Tribune has 5 inserts today for only $1! Normally our area doesn't get all the inserts on Saturday, so a GREAT deal if you can find them! Thanks to all who commented to let us know! 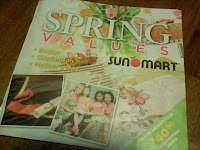 Look for 2 SmartSource inserts, a RedPlum insert and a P&G insert this weekend in your papers! Looks like a great week to pick up a few papers! As you know, in our area I recommend buying the Minneapolis Star Tribune on Sunday to get the most coupon bang for your buck! To see the full preview, head over to the Sunday Coupon Preview! Safe Kids FM, Kohl's Cares, Sanford Children's and the Fargo Police Department have teamed up to get unsafe, used and expired car seats out of circulation. It's a great deal for you if you've got an expired car seat sitting in your basement or garage, or if your seat has been in any kind of accident. Kohl's will provide a $10 Kohl's Gift card for each carseat turned in! Bring your old, used and expired car seats and bike helmets to the Kohl's parking lot Friday April 29 from 3-7 PM or again on Saturday April 30 from 10-2! Did you know that car seats expire? Car seats are considered unsafe 6 years after the date of manufacture. (You can usually find this date printed on the instruction label on the back of the car seat.) I would encourage you to please please check your car seats! (Don't forget the one in grandma's car, baby sitters car, etc...) Also, car seats are not designed to be used after any kind of crash. Is your child in the right type of car seat? Check out local car seat safety recommendations here. Bike helmets expire after 3 years, and old bike helmets will be collected at the event as well. Bring your child to be sized for a new helmet for a $10 donation to Safe Kids. I wanted to let you all know that I am not planning to write store deals this week. I shared with you a few weeks ago that I've been struggling to stay on top of things while not feeling well, but I've also made some decisions that haven't served you all or my family well. I need to take some time to plan, focus and catch-up. 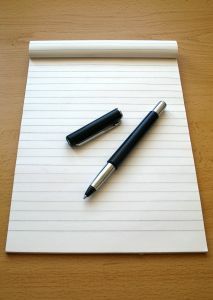 I will post coupons and deals as I can this week, but store deals take a great deal of time to write. I am planning to use that time this week to refocus and regroup. I hope to be back refreshed writing store deals next week! For Cash Wise deals, head over to Definitely Deals, where Kris and Jennifer post Cash Wise highlights each week. Normally I send my Cash Wise deals over to them, so this week go check them out! Also, see the ads online over at Cash Wise's website. There is a weekly ad as well as a new Truckload Buy ad with prices good through 5/14! For SunMart deals, head over to Little House Living for the Family Thrift Deals, which are the same (or similar) to SunMart deals each week. Keep in mind that our stores will double coupons to a value of $1, so your final price may be just a bit lower. To view the SunMart ad itself, head over to SunMart website. As always, feel free to share your deals with others in the comments on this post or join the conversation over at FM Cheapskate's Facebook page, where you can connect with others and leave your deals and tips for others! Red River Zoo "Party for the Planet" Today: FREE Admission! Reader Shanshan left a comment reminding me of the Red River Zoo's Party for the Planet today from Noon-4:00 PM! 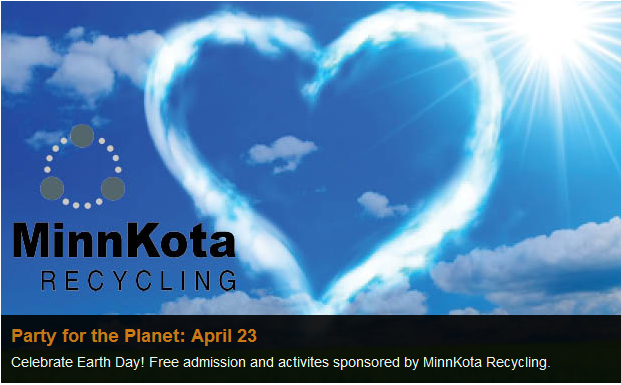 Minnkota Recycling is sponsoring the event, which includes FREE admission, games and projects for the kids and FREE tree seedlings (while supplies last)! We attended this event last year and it was quite the "zoo" of people, so beware if you choose to head out! Overall, it was a blast, though! Head over to the zoo for a fun and FREE afternoon! Lowes: Free Tree for Earth Day Saturday April 23! Head over to your local Lowe's store tomorrow morning, Saturday April 23rd and pick up a FREE tree seedling in celebration of Earth Day! Lowe's is giving away 1 million trees across the nation, and supplies are limited, so hurry in early to be sure you get yours! Our Fargo store opens at 7:00 AM. The trees given out will be based on what will grow well in your local area. Cool, huh? It's hard to pass up a neat freebie like this, but then my husband reminded me that we have too many trees (we live in an older part of town) and in fact we need someone to cut some of them down! He's so right... we will not be picking up a free seedling. :) To those of you in newer parts of town and in need of trees, get your free tree and enjoy! Thanks, The Full Circle Gardener! Since it is a holiday weekend, there are no inserts scheduled. Give yourself a little break from clipping and filing! For those coupon lovers who can't get enough, there are printable coupons galore available right now! Final price: as low as $1.99! Our Family Angel Food Cake Mix $0.78 (Limit 4)! Final price: as low as $1 each + $1 off Produce when you buy 2 Triscuits! Final price: as low as $1.30! Final price: as low as $2.19! 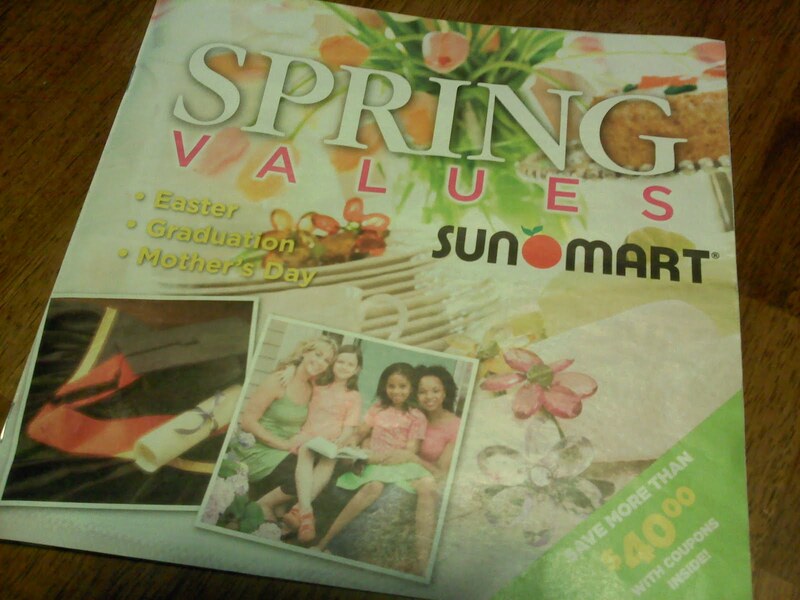 SunMart has a great new coupon book available in stores! I've seen these at checkout and with the weekly ads as well. Restaurant.com 80% off! $25 Gift Certificates as low as $2! Hurry over to Restaurant.com where $25 Restaurant gift certificates (normally $10) are once again on sale for 80% off! Through 4/21, use code EASTER when you purchase any restaurant specific gift certificates or Restaurant.com gift cards to pay as little as $2 each! In the Fargo Moorhead area, participating restaurants include: Maxwell's and The Hub. Type in your zip code to see other participating restaurants! Each restaurant has it's own rules regarding the use of the $25 gift certificates. Some require a minimum purchase, some only allow it to be used on certain days. Just be sure you read through the fine print before you buy! These certificates are available to print and use as soon as you purchase them and never expire! Don't just think about buying gift certificates for use here at home, think about where you may be traveling soon and purchase ahead a few to save on eating out expenses. Or, give a Restaurant.com gift certificate as a gift! 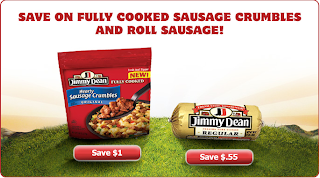 New $0.55 off Jimmy Dean Printable! 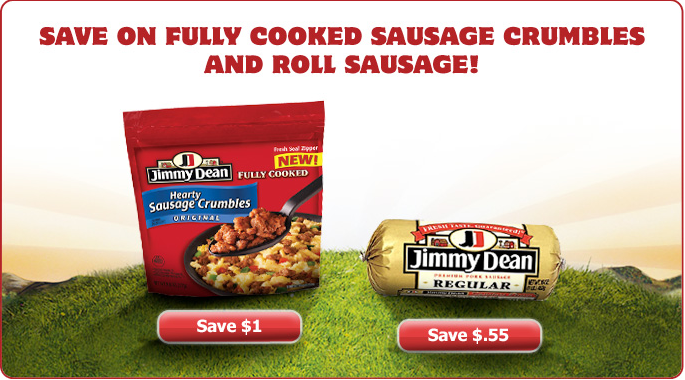 Jimmy Dean has a new $0.55 printable coupon available on their website! Our local grocery stores will double this to be worth $1, so wait for a sale to get a great deal on sausage! 2 Restaurant Deals: Domino's and Vic's Bar & Grill! There are 2 great daily deals available today for restaurants around town! 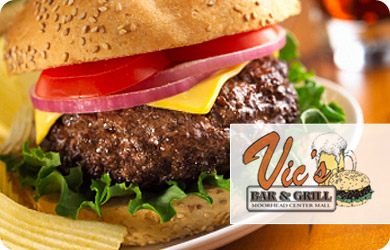 First, $10 for $20 to spend at Vic's Bar & Grill in the Moorhead Center Mall! Yum, a great place for a burger if you ask me! Buy up to 5 (available today only!) and use them through 10/31. Next a great deal at Domino's! 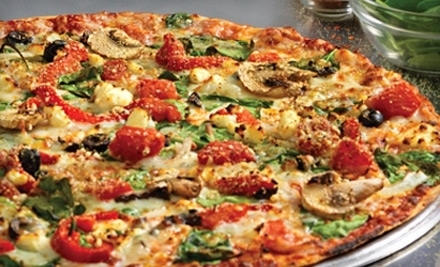 Today at Groupon, for $8 get a voucher for a large pizza with up to 10 toppings! This voucher is only available to redeem online and is only available today. You'll have until 5/19 to use it! If you're new to Groupon, sign up and check out the deal here! More High Value Facebook Coupons: Stove Top, Finish! 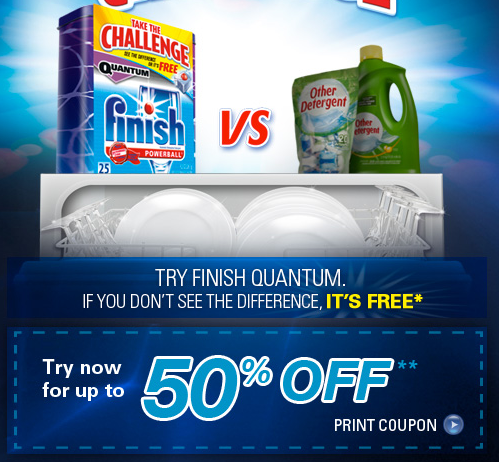 Ack, I can hardly keep up with all the super high value coupons being offered on Facebook these days... Today it's Finish Dishwasher Detergent and Stove Top! Head to the Finish Facebook page to print a $1.75 coupon! While you're there, join me over at FM Cheapskate's Facebook page! 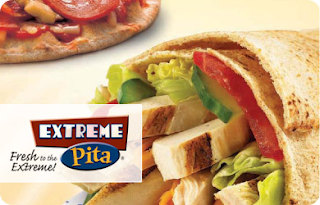 SaveCoin: $7.50 for $15 at Extreme Pita! Today's SaveCoin deal is $7.50 for $15 of food and drinks at Extreme Pita! Good at locations in Fargo and Moorhead. You only have today to purchase the voucher, but have til 10/31 to use it! Purchase up to 2, but use just 1 per visit. Be sure you'll be able to use all $15 at once! Head to SaveCoin to see the deal! Fargo Moorhead Cash Wise locations double coupons everyday up to $1! Coupons less than $0.50 double their face value automatically. Coupons with a face value from $0.50-$0.99 double to be worth $1, and coupons with a face value higher than $1 are accepted at face value. Cash Wise does not accept internet printable coupons for "Free" products. Eileen's Original, Black or Spicy Jelly Beans FREE with Cash Wise in store coupon and $30 purchase! Final price: as low as $0.17 each when you buy 2! Final price: $1.99 for both, only $1 each! $2 used to be my stock up price for butter, but we haven't seen a price that good in awhile! High Value $1.50 Lysol Wipes Coupon on Facebook! 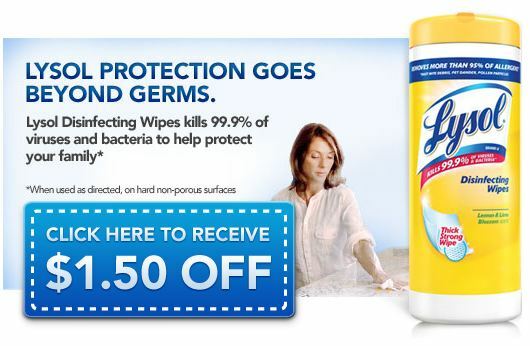 Hurry over to Lysol's Facebook Page to print a $1.50 coupon good on Lysol Wipes! This is a very high value coupon, so don't wait! 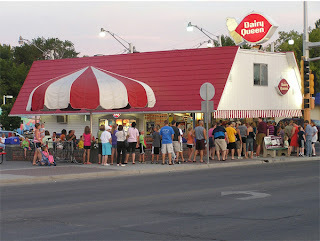 Tax Day: FREE Sundaes at Moorhead DQ Tonight! You know what I love about the Moorhead Dairy Queen? Not only is it within walking distance of my house, perfect for summertime walks, but they also have those amazing "Chipper" ice cream sandwiches! Another thing I think is so great is that to find out about their deals and sales, you have to physically walk by and read the windows. Thankfully a reader on FM Cheapskate's Facebook page was able to get the details from the window stickers so I could post this today! 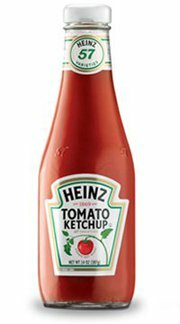 $2 Heinz Coupon on Facebook! Hurry, hurry hurry over to "like" Heinz on Facebook to snag a very rare and high value $2 off Heinz Ketchup coupon! This coupon will not last long, I'm sure! Reader Jana thinks the 40 oz bottles are about $1.98 at Walmart right now, so FREE after the coupon! Let us know if you know of other stores where you can use this coupon for a deal on ketchup! 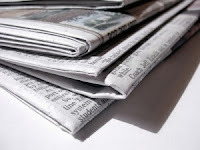 Look for 2 SmartSource inserts and a RedPlum insert this weekend in your papers! Wowzers, looks like a lot of coupons! As you know, in our area I recommend buying the Minneapolis Star Tribune on Sunday to get the most coupon bang for your buck! Plus, lots of General Mills, Colgate, Farmland, Airwick coupons and more! Plus, several Kellogg's and Unilever coupons! 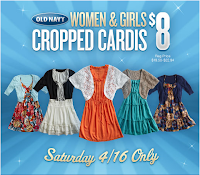 Old Navy Sale: 60% off Swimwear and $8 Cardigans 4/16! 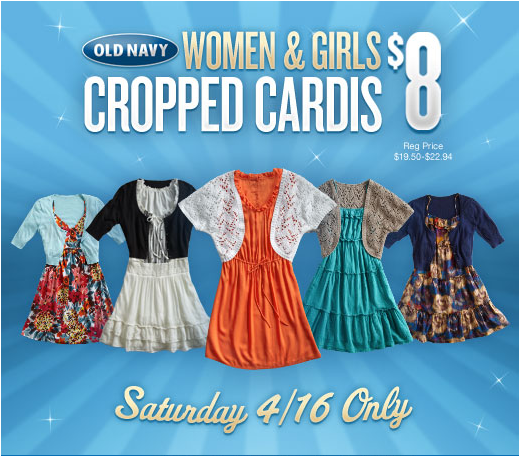 Brittany over at Frugal in Fargo has the scoop on a sweet sale going on at Old Navy Saturday, 4/16 only. From experience, I'll tell you to shop early if possible! 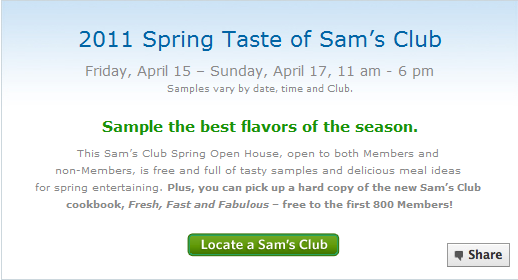 Taste of Sam's Club Open House this Weekend! 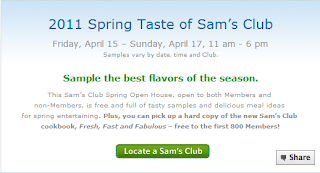 Sam's Club is hosting a Taste of Sam's Club Open House this weekend! The event is open to members and non-members! Non-members can even shop with no surcharge during the open house! This is a great opportunity to check out Sam's Club or just buy your staples without paying for a membership! Plus, there are supposed to be lots of great samples! The first 800 members and new sign-ups will receive a FREE copy of the Sam's Club Cookbook! 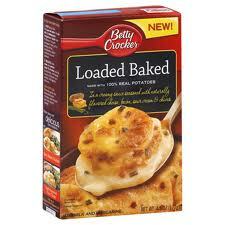 Or, download the cookbook FREE over at the Sam's Club Facebook page! SaveCoin: $15 for $30 at The Winery in Fargo! 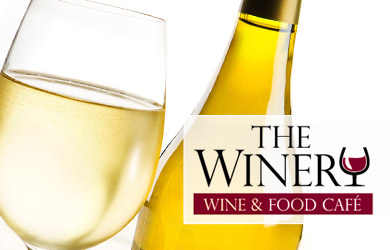 This weekend's SaveCoin deal is $15 for $30 of food and drinks at The Winery in Fargo! The Winery's menu changes seasonally and they boast the largest wine selection in the area and live music on Friday and Saturday nights! Sounds fabulous for a date night! It's Friday again, so be sure to print your $0.50 StarKist Pouch product coupon! It's only available on Friday's for a limited time! Our stores will double this to $1, so it should be easy to snag a sweet deal on tuna! Cash Wise: Betty Crocker Potatoes as low as $0.19! Final price: $1.88 for all, only $0.19 each! Thanks to Frugal in Fargo for leaving a comment confirming the catalina on the Cash Wise Weekly Deals! Bath and Body Works: FREE 2 oz Lotion Friday and Saturday! Head to the Bath and Body Works Facebook page to print a coupon for a FREE 2 oz Into the Wild Lotion! Coupon is valid today and tomorrow only, 4/15 & 4/16! Bring it if you're headed to the mall tomorrow morning for our Get Together + Coupon Swap! It's been a looong week! Is it really Thursday? Here's the best of Cash Wise deals this week along with my apologies that I'm just getting them to you! Final price: $0.68 for both dozen! Plus, use the in store manufacturer's coupon (or the same peelie coupon found on Gold'n Plump packages) to save $1.50 on chicken when you buy Philadelphia cooking creme! Final price: as low as $2.48! Plus, there are 2 monthly ads with lots more deals! If you've seen a deal you'd like to let others know about, just leave a comment! 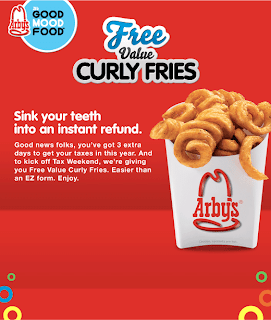 Arby's: FREE Curly Fries Friday 4/15! 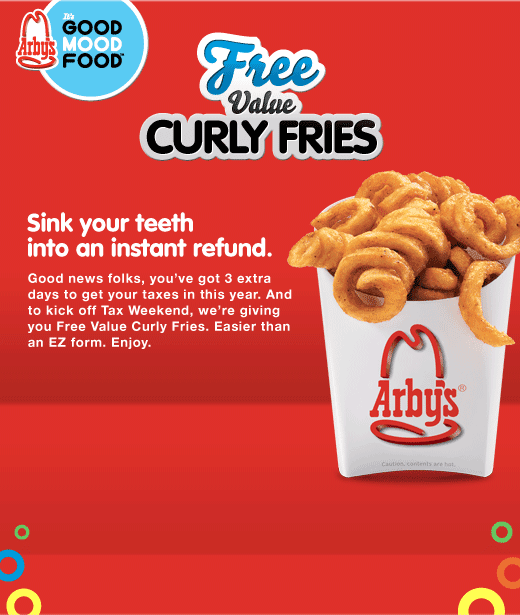 Print a coupon from the Arby's Facebook page for a FREE Value Size Curly Fries valid tomorrow, Friday 4/15 only. Not valid with other coupons or specials. Holler for some FREE Curly fries! 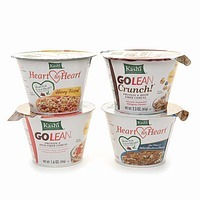 New Printables: Kraft, Visine, Kashi, Smuckers and more! I'm lovin' LOTS of these new coupons available to print! Happy saving! SaveCoin: $10 for $20 to spend at Wing Zone! Today's SaveCoin deal is $10 for a $20 voucher to Wing Zone in West Fargo! This deal is only available to purchase today, and as far as I can tell, you can purchase several if you'd like! Anyone else loving all these local SaveCoin deals as much as I am? Stack with the SunMart in-ad coupon for $5 off a $20 Gold'n Plump fresh or frozen chicken coupon! Final price: as low as $1.69! Head over to the CVS Facebook page, where you can request a coupon for a FREE Full Sized Essence of Beauty Antibacterial Product! New Printables: Diet Coke, Dasani, Eggs and More! Hurry to print this rare $1/2 20 oz Diet Coke or Dasani water coupon! This will likely be gone very fast! The famous $0.55/2 Dozen Eggs Printable coupon is back! Use this with a sale to snag inexpensive eggs! Also, head over to DiGiorno's Facebook page and click on the "coupon" tab to find a coupon for $1.25 off any DiGiorno Pizza & Sides. While you're on Facebook, head over to the Schick Facebook page to find and print a $3 Schick Razor coupon and a $1/1 Schick Shave Gel coupon! CVS: Free Candy or Drink Coupon! CVS is offering a freebie today only for Twitter followers! Sign up here and you'll be emailed a coupon for a FREE candy or beverage! New Printables: McCormick, Izze and more! 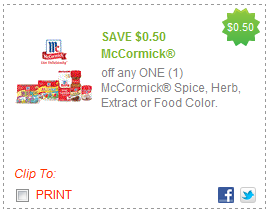 RedPlum has a great new $0.50 off any McCormick Herb, Spice, Extract or Food Coloring coupon! Head to Facebook to print a $1 off any Izze esque 4 pack coupon! SaveCoin: $10 for $20 to Spend at Rainbow Shop! 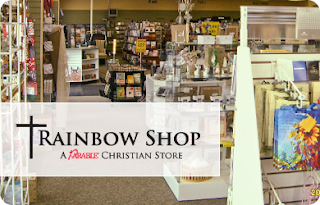 Today's SaveCoin deal is sweet for a deal on books, CD's, DVD's, bibles, gifts and more at the Rainbow Shop in Fargo! For $10, get $20 to spend at the Rainbow Shop in Fargo! This deal is only available to purchase today, but the vouchers won't expire til 7/31/2012! Perfect if you're planning on buying any Easter gifts, you can buy up to 3 of these deals! Store credit will be given if you spend less than $20 in one visit. Fargo's Rainbow Shop is located on 13th Ave, just in front of Walmart. Head to SaveCoin to see more details and buy this deal! SaveCoin: $10 for 20 Minutes at Ron's Aqua Massage! I almost completely missed out on posting today's SaveCoin deal! Through tonight at midnight, get a 20 minute Full Body Massage at Ron's Aqua Massage ($20 value) for $10! Ron's Aqua Massage is located in the West Acres Mall Food Court, and you may use the certificates anytime, no appointment necessary! I love that you can guy up to 5 of these deals, and use them through 10/31/11! Plus, just a hint that Mother's Day isn't all that far away for those needing gift ideas! FREE US and Canada Travel Guides! Vacation planning for this summer or just dreaming? Check out Free Travel Guides, where you can request FREE Travel Guides for destinations in the US and Canada! I've seen travel guides free from many sources, but it's nice to see them all in one place! I always pick one up for ND and MN (where I live), as they usually have great event calendars and destination information. Sign up here for a FREE Sample of Carefree Acti-Fresh Liners! Head over to print here and here! These don't usually last long, so hurry if you're interested! 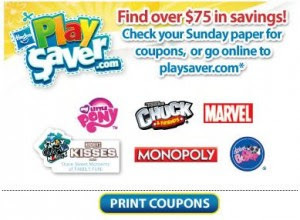 We also got a Hasbro insert this weekend in the Star Tribune with lots of the same coupons! Update: Brittany over at Frugal in Fargo has a deal scenario to use for inexpensive games and FREE pizza! 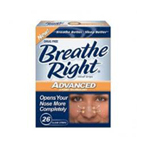 Breathe Right - FREE Sample! Head over to GlaxoSmithKline to request a FREE sample of Breathe Right Strips! These samples usually come with a nice coupon as well! I signed up for the last offer and was able to sign up for this one again! New $0.50 StarKist Printable = FREE at Hornbachers! Head over to the StarKist Facebook page to print another $0.50 coupon for Seafood Fridays! StarKist tuna pouches are on sale at Hornbacher's through Tuesday 4/12 for only $0.98, so FREE after coupon! Plus, if you've printed any others over the last few Friday's, use them at Hornbacher's this week to stock up! Join me and some others for our April Coupon Swap + Get Together next Saturday 4/16 at West Acres. We'll meet in the Food Court from 10 AM-Noon. Feel free to grab a coffee, snack or just join us with your coupons. If you have coupons to share, bring them clipped if possible and we'll just send envelopes around. If you don't have coupons to share, but are looking for some extras, there are PLENTY to go around! Use the Coupon Trades Page to request specific coupons or connect with others who have coupons to share! This Cheapskate is Having a Baby! Many of you might be wondering where I've been recently. I haven't posted Hornbacher's deals in weeks. At best I might get 1 or 2 deals posted per day. On a good day. I can answer that question easily. I've been sleeping. A lot. And I've been busy being sick. And dealing with migraines. And being so excited for the little blessing that's growing inside of me! You heard me right, we're having a baby! Our daughter is turning 4 this week and she'll be a big sister this fall! I want to thank all of you for being so kind and refraining from mean e-mails when I haven't gotten around to the things I've said I'd do in the last several weeks. And for being gracious with unanswered emails. And the list goes on. :) You all are the best readers, and I mean that! Thanks for continuing to encourage me with your comments and emails like you always do! All that being said, I really hope that I'm coming out of the worst of it. I hope to be back into the groove again soon. Don't worry, I'm getting plenty of sleep and taking care of myself and baby, I am just excited to try to get back into the stores with my coupons when I'm feeling up to it! Coming soon: I hope to share a post or two about couponing (or the lack thereof) in different stages of our lives. I can tell you right now I've printed and used a few coupons, but shopping for deals has definitely come in second to sleeping, eating and generally trying to keep up around the house. Hopefully that post will be encouraging to others walking through an illness in the family, having a baby, moving to a new home or other challenging circumstances. Save Coin: $10 for $20 to Spend at the Arc Attic Treasures! I LOVE LOVE LOVE today's SaveCoin deal! Double your money while shopping at one of my favorite thrift stores in town with $20 to spend at the Arc Attic Treasures for only $10! Plus, if you're like me and you may not come across $20 worth of merchandise in one trip, the Arc Attic Treasures will give you a gift card for the unused amount of your $20 voucher! 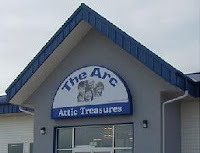 The Arc Attic Treasures stores are located in South Fargo on 32nd Ave near I-29 and the north store is just north of Main on University. This deal is available at SaveCoin through Thursday night, or while supplies last so hurry on over to snag yours! You are allowed to purchase up to 3 for your own use, but of course only 1 allowed per visit. I'm not sure it gets better than doubling your money at the thrift store! Head over to Tiny Prints, where the first 10,000 customers can use promo code 4MOM to snag a FREE Mother's Day Card! Plus, choose to have it shipped to you instead of your recipient, and shipping is FREE as well! Plus, on a personal note, I think their card options are SO cute! I have a special place in my heart for great stationery! Look for the rest of the deals to come tomorrow! I wanted you to have as much as I could get to you tonight! Skippy Peanut Butter, 16.3 oz Creamy or Crunchy FREE with Cash Wise in store coupon and $30 purchase! Updated: Final price: $1.24 each after coupons! Thanks to the commenter that caught my math error! Plus, look for peelies on the boxes for FREE M&M's when you buy 2 Rice Krispies! Thanks Bo! Plus, get a Catalina coupon for $5 off Milk and Eggs on your next order! Without any other coupons, and assuming that you'd be buying milk and eggs anyway without coupons that brings the cost down to roughly $1.17/box. Not bad! Note: The in-ad coupon states that "no other coupons may be used with this coupon." I've found this to vary by store, even cashier. Typically, stacking a manufacturer's coupon is completely legit, so here are some coupons to take with you and you might just get a better deal. Let us know if your stores allows stacking! Final price: as low as $0.88!